Your driveway has a tremendous impact on how you, your family, and your guests view your property. Likewise, when there is decorative hardscaping around a home, people generally notice it. 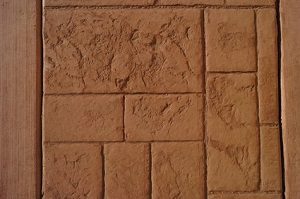 If you want to dramatically improve the curb appeal of your residence, you should give serious consideration to stamped concrete in Southwest Chicago. At Allpro Contracting, our Southwest Chicago remodeling contractors specialize in stamped concrete paving services. We have been helping local residents design and construct beautiful driveways, walkways, patios, and stairs for over half a century. As such, when you hire our professionals for the task, you can rest assured knowing that we will achieve all of your aesthetic and functional goals. If you are interested in installing stamped concrete hardscaping features around your Southwest Chicago home, you should contact our professionals for help. Our staff would be happy to discuss your prospective project with you. We can answer any questions that you may have about stamped concrete or our skills and capabilities. We can schedule your appointment today. Stamped concrete is an amazingly versatile building material and technique. The process is similar to any other concrete paving exercise in that the material is poured and allowed to harden. While the concrete is still wet, you can apply color and texture to its surface. The results are absolutely stunning. One of the best reasons to use stamped concrete for your hardscaping project is that this material can achieve nearly any aesthetic goal. Our Southwest Chicago concrete driveway, patio and hardscaping contractors have the knowledge, skill, and experience necessary to create a stamped concrete driveway that mimics any other building material, including brick and natural stone. You and your family are guaranteed to be stunned by the results. When you decide to build a decorative driveway, walkway, or patio, one of the first things that you consider is expense. Stamped concrete beats all other hardscaping materials in this regard. As stated earlier, stamped concrete can be used to mimic amazingly beautiful, yet expensive natural materials. It does so at a fraction of the cost. When you hire our professionals to design a new driveway, walkway, or patio for your property, we will work our hardest to achieve all of your functional and aesthetic goals. You and your family will love the usability and the beauty of these hardscaping features. Our stunning results will stand the test of time. If you are interested in stamped concrete in Southwest Chicago, call Allpro Contracting today at 708-658-3500, or fill out our online request form.